The actress, who died last December at age 60, received a posthumous Emmy nomination on Thursday for guest actress in a comedy for her work in Amazon's "Catastrophe." Fisher played Mia, mother to Rob Delaney's character Rob in the sitcom, which airs in the UK on Channel 4 and on Amazon Prime. Since the first season, she's shown up to occasionally torment her son about his choices and ponder aloud about shopping. She had been steadily becoming apart of the series, with this most recent third season being her biggest yet. The series stars Rob Delaney and Sharon Horgan, a couple who get together after a one-night stand in the UK. This is Fisher's third Emmy nomination. She was nominated in 2008 for her guest appearance on "30 Rock" and for outstanding variety, music or comedy special for "Wishful Drinking" in 2011. The category this year is full of strong performers, including Melissa McCarthy for her "Saturday Night Live" hosting duties (and no doubt her Sean Spicer impersonation). Other nominees include Wanda Sykes in "black-ish," Becky Ann Baker in "Girls," Angela Bassett in "Master of None" and Kristen Wiig for hosting "Saturday Night Live." 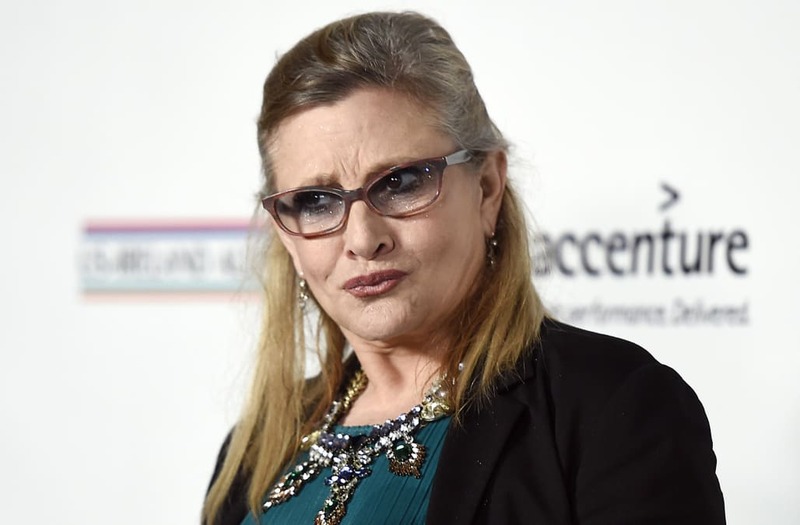 The Los Angeles County coroner reported that Fisher's death was due to a combination of factors including sleep apnea and "other conditions: atherosclerotic heart disease, drug use." Her mother, Debbie Fisher, suffered a stroke and died the next day.